Good Morning, to all my American Friends! 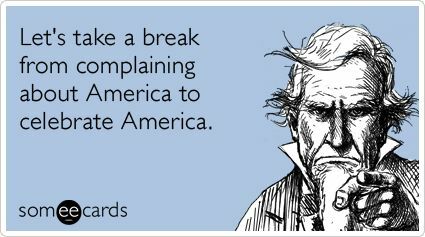 Happy 4th. of July to all of you! I don’t know about you, but I plan on not watching the news and getting disgusted over what is taking place in politics and getting aggravated. I choose to just chill out, and just post some fun stuff to remind us that it is our countries birthday. Happy Birthday, America! Have a happy and safe holiday everyone! I took it very easy yesterday. Today, I have to get back to running between both homes to take care of all the pets.